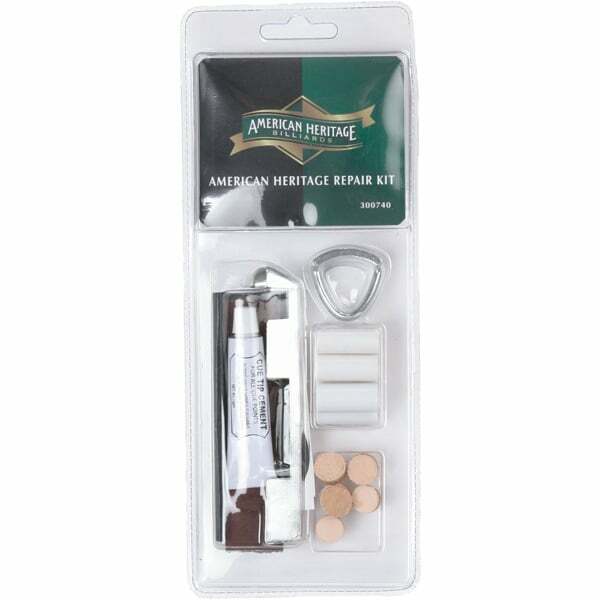 The Standard Pool Cue Tip Repair Kit offers the bare minimum essential tools necessary to replace, re-tip and keep billiards cues in perfect working order. When your cue starts acting unreliably, hitting erratic and unpredictable shots without user error, it’s time for some special attention. This maintenance kit for cues includes five tips so that you can re-tip at home, plus the glue, tip clamp, tip shaper and ferrules necessary to get the job done. Don’t curse yourself or your pool cue for underperformance. Give your game a boost with special attention from your at home repair kit!